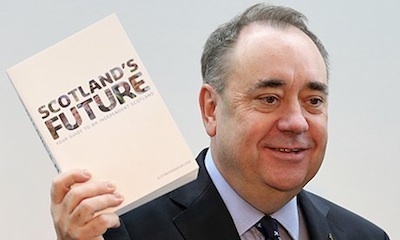 Scottish independence is “closer than it’s ever been”, First Minister Alex Salmond has said, in a decision that will have a significant impact in Ireland, economically as well as politically. The leader of the Scottish Nationalist Party spoke as polls suggested a narrowing of the gap between the Yes and No campaigns. The momentum indicates the Yes campaign may be dramatically edging closer to a result which would reverberate down through history for centuries to come. Mr Salmond said people who had never engaged with politics were becoming involved and called it “a democratic sensation”. But of 81 opinion polls, all but one put the ‘No’ side ahead. The ‘No’ side are the odds-on favourites to win. However, the polls have consistently disagreed with each other about how far the ‘No’ side is ahead, and the more recent polls over the last two or three weeks or so have been suggesting that ‘Yes’ may have been making further progress. Thousands of people have registered to vote in Scotland in the past week, with local registration centres saying they have received tens of thousands of applications in the last few days ahead of the Tuesday midnight deadline. Mr Salmond that if Scots did not take the opportunity of independence they could face “the biggest hangover in history”. Whatever the result, it will prove an historic day for Scotland which will be closely followed in Ireland. A ‘Yes’ vote in Scotland would leave the six counties of northeastern Ireland as a rump English-ruled exclave -- an eight-hour sea journey away from the new “mainland” of England and Wales. Hardline unionist, the DUP’s Ian Paisley Jr, son of the infamous unionist leader of the same name, said a decision for Scotland to leave the union would be an encouragement to Irish nationalists. He warned they would “up the ante again and think that they can pull and wrestle Northern Ireland from the union also”. Sinn Fein said the debate in Scotland had encouraged support for a poll on Irish unity in the Six Counties. Chris Hazzard, a Sinn Fein member of the Stormont Assembly, said: “I think people are looking enviously at Scotland and saying I wish we could have that debate here. Meanwhile, cabinet members in the 26-County government and Irish diplomats have been cautioned against expressing views on Scottish independence. But earlier this summer, former minister for foreign affairs Fianna Fil’s Gerry Collins backed Scottish independence, saying small countries have “no baggage”, are “amenable, honest, upright” and set their own priorities.